The difficulties of long distance trade were numerous. Shipwrecks, robbery, an absence of currency, and undeveloped systems of distribution made it difficult to make a profit. Overland routes followed the old Roman roads which were in horrible condition. This resulted in difficult and slow travel. At the same time overland routes were subjected to constant banditry. Before long, most merchants chose to move their products by sea, and if they were successful the profits could be incredible. Ocean going ships were capable of carrying up to 1,000 men or a cargo of a 1,000 tons. Both the Byzantines and the Venetians utilized oar galleys that were remarkably fast. The oar galleys sometimes required a crew of 200 men and they were known to give a ruff ride in the open sea. At this time ocean travel became safer because of the availability of harbor maps and maps in general. The 13th century saw the introduction of the compass from China, the astrolabe, and the quadrant. In addition, the stern post rudder was introduced at this time. The stern post rudder made it possible to construct large ships with wide sails. Most ships captains liked to sail as close to shore as possible in case of bad weather conditions or a leak. Piracy was a constant problem and the sailors often had to fight for their lives. Making things even more difficult, if a ship wrecked and no one survived the person who discovered the wreckage could legally claim the cargo for themselves. Consequently, many survivors were murdered. 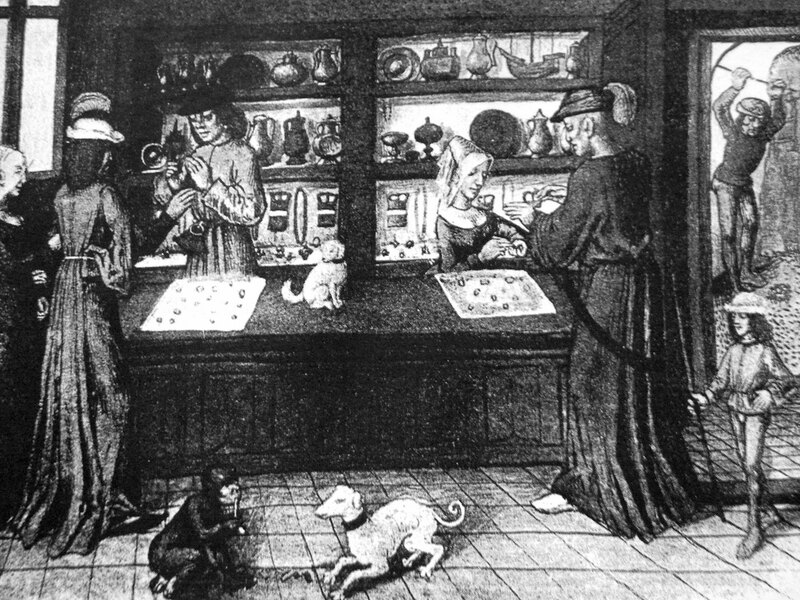 During the Middle Ages, wherever politics and economics made it profitable, international trade prospered. Venice supplied Constantinople with wheat, salt, and wine. They also transported pilgrims, horses, slaves, and timber to Palestine. When the Venetians ships returned they carried the finest luxuries of the Eastern Roman Empire. At the same time, the strategically located Constantinople traded with Russia. From Russia they received furs, honey, and slaves. English coal was shipped throughout England as well as to France and Germany. French salt was in great demand by the fishing industry. They used it for the preservation of herring and it was shipped to all parts of the known world. When transportation became cheaper merchants began exporting and importing additional food products. England exported cheese, ale, olive oil, dates, figs, and raisins. They also grew and exported oranges and lemons which were considered very luxurious. At the same time they imported huge amounts of French Bordeaux wine by the cask or what were called leather hoses. Spain made syrups, sugar, and fruit preservatives for export. Textiles were traded more than any other item on the open market, and the textile material that was the most prized was wool from England. Most of the wool was processed in Flanders. Wool brought great prosperity to England and spinning wool was a common form of employment. After the wool was spun it was sent to weavers. These weavers sat side by side on a broad double loom weaving what was called broadcloth. After the broadclothes woven they were stamped by walkers and then dried in order to fix the colors. When the broadcloth was finally ready it was assembled into huge bales and shipped by sea to its destination. By 1300, an enormous garment trade evolved in Italy. The Italians made amazing robes and gowns out of the English wool, most of which they sold back to England where the were very popular.